“The customer experience is the next competitive battlefield” – Jerry Gregoire, CTO of Dell. We spend a lot of time talking about how important the customer experience is, and this quote by CTO of Dell just reinforces our belief. The customer experience will be the key in determining the future of your brand. As we have stated, the customer experience is the sum of all touch points with your leads, clients, and customers. (this is an awkward sentence) Issue tracking is the art and science of managing issues, incidents, requests, and more. The way your company handles its support is part of the customer experience, and a very important one at that. As I am sure many of you have experienced, poor customer service can instantly turn a person off from future interactions with your organization. However, you can avoid that with useful tools such as issue tracking. Thankfully for all of us, there are ways the help manage, track, and provide top-notch customer service that ultimately affect your bottom line, customer acquisition and retention. A ticket is a submitted request for support or help in some area or another. (be more specific here, it is too vague…doesn’t inform the reader in any way) Once a ticket is submitted, that ticket acts as a running report on the issue, its status, who is tending to it, and more. 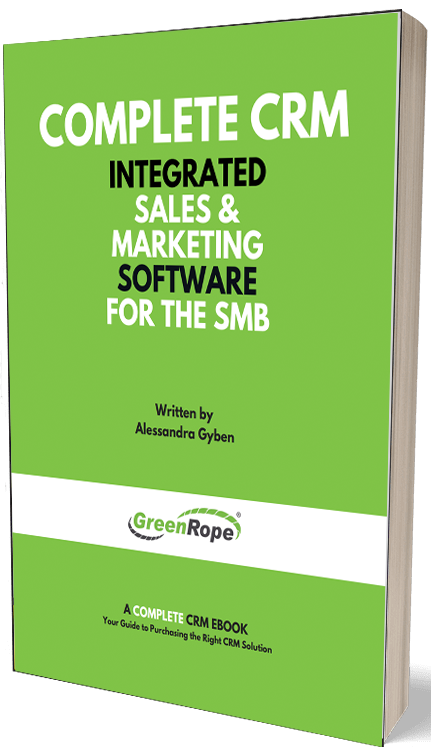 GreenRope has a built-in ticketing/issue tracking platform, which syncs directly with the CRM. Access to this data in the CRM enables all members of an organization to view the ticket, its status, and how it is being handled. This creates consistency in not only your support, but also your sales and marketing. That way, when a person calls in and speaks with another member of the team, they will receive the same information they were given when submitting their ticket the first time. Consistency is key when it comes to the customer experience. Creating and executing your issue tracking strategies is easy with GreenRope. Simply go to Apps > Ticketing to setup your forms. You will have the option to determine your ticketing categories. For example, we have two different categories for our sales tickets: Demo Request and Trial Request. You will want to create your categories based on what your clients or leads are submitting this form for. If you go to the GreenRope contact form, you will notice a drop down menu that asks the visitor for the purpose of the request. Once you determine your categories, you can then customize the information you want to collect, select your auto-responders, choose which groups the person gets added to, and more. You can also select whether you would like the submitter to be able to include a photo with their inquiry. This is a very useful tool as it allows people to send in visual representations of their requests. This can make solving the issue a lot easier and more efficient in most cases. Implementing a proper ticketing strategy gives you a competitive edge that sets you apart from your competitors. Better customer service makes for an enhanced customer experience resulting in loyal clients and ultimately, brand advocates.